Who Should Buy an Amazon Fire TV, not Apple TV? Fire TV is Amazon's answer to Apple TV, and to other options like Roku 3 and Google Chromecast. 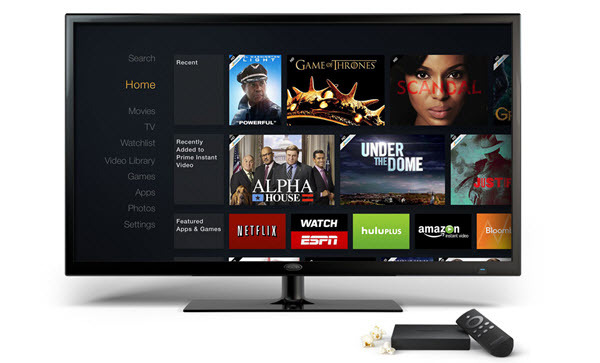 Fire TV brings Amazon Instant Video, Showtime Anytime, and tons of games to your big screen TV. Anyone who subscribes to Amazon Prime, owning a Kindle Fire or other Amazon handheld device will undoubtably love the Amazon Fire TV. For the new kid on the block, it has a lot to offer. Amazon has managed to get a lot of content together for launch and promised that more apps and games are coming soon. If you aren't hooked into the Apple ecosystem and value fresh, new content over iTunes integration, the Amazon Fire TV will be a great addition to your entertainment system. However, there are people who have Amazon Fire TV AND iTunes Movies and TV Shows. Is there any method to play iTunes movies and TV shows on Amazon Fire TV? The following tutorial will give you answer! Because of DRM protection, movies and TV shows that you purchased and rented from iTunes Store are limited to play in Apple ecosystem. To watch iTunes movies TV shows on your HD TV via Amazon Fire TV, you need to remove DRM protection and convert the video files to supported video format. Then you can add them to your Kindle Fire Tablets to stream to Amazon Fire TV or use Plex Media Server, XBMC to get your Amazon Fire TV to play local video files. 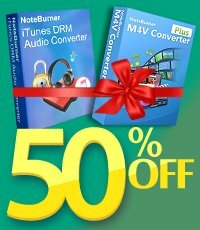 NoteBurner M4V Converter Plus (For Mac & For Windows) adopts an innovative DRM decrypting technique which makes it possible to unlock iTunes DRM videos with lossless video and audio quality. It will help you directly crack the DRM iTunes video and convert both iTunes purchased and rented videos to normal video formats and keep iTunes rentals forever! The following is a detailed tutorial about how to convert purchased or rented iTunes movies/TV shows to Amazon Fire TV using NoteBurner M4V Converter Plus. Please download this useful tool on your Mac or Windows PC first before getting started. Step 1: Launch NoteBurner M4V Converter Plus after you install it. 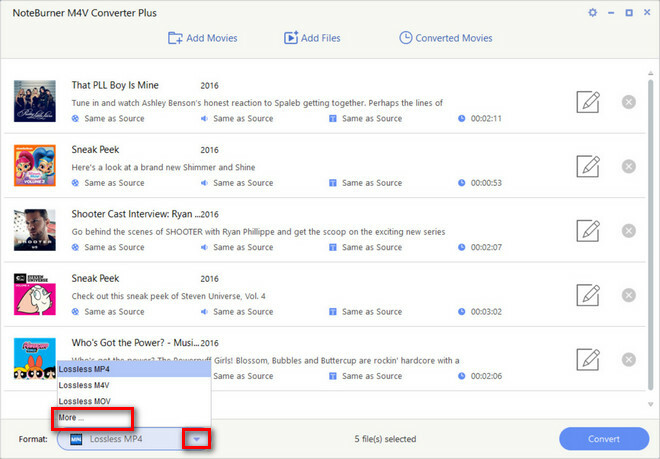 Click "Add" button on the upper left of the interface to add iTunes purchased or rented movies you need to convert. 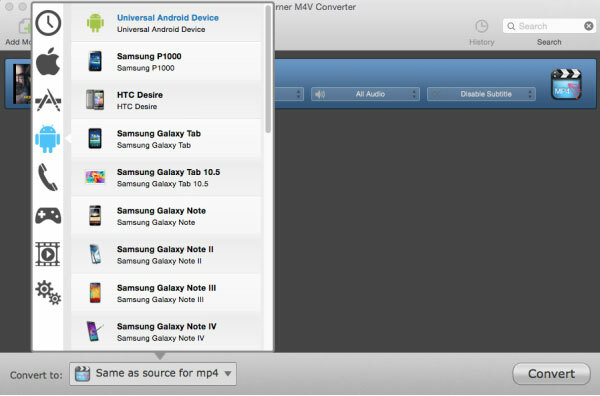 Step 2: Click the list next to "Convert to" and choose MP4 format. Step 3: Click "Convert" button to start removing DRM protection and converting iTunes movies to normal MP4 video file. Once it finishes conversion, you can open the output folder to find the converted video file. Now you can refer the below methods to transfer converted iTunes movies/TV shows to Amazon Fire TV for playing. *Stream Converted iTune Movies or Other Local Video Files via Amazon Kindle Fire Tablets. Amazon Fire TV works as a media steaming device, it can also stream all contents stored on Amazon tablets. So it's more easily to watch the converted iTunes movies on Amazon Fire TV. You can transfer the iTunes movies to Amazon Kindle Fire HD or other tablets at first.